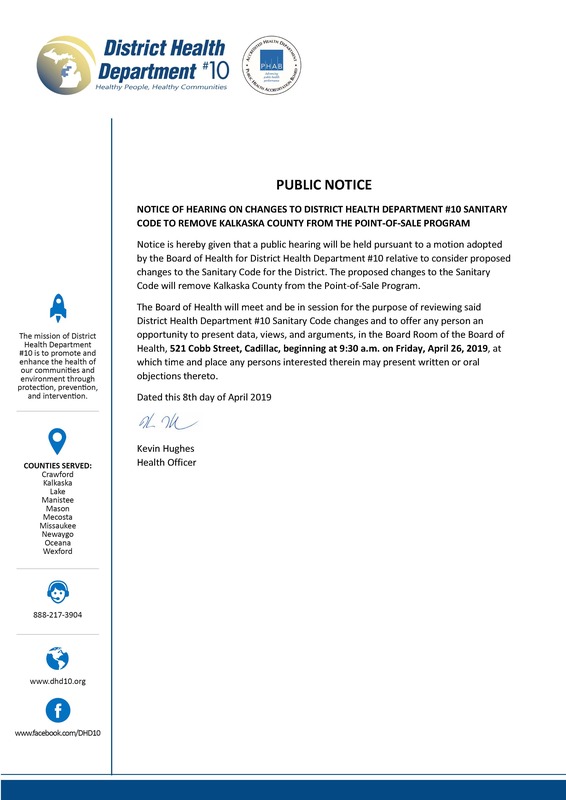 Notice is hereby given that a public hearing will be held pursuant to a motion adopted by the Board of Health for District Health Department #10 relative to consider proposed changes to the Sanitary Code for the District. The proposed changes to the Sanitary Code will remove Kalkaska County from the Point-of-Sale Program. 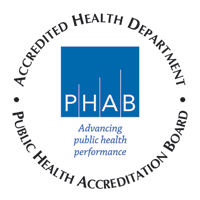 The Board of Health will meet and be in session for the purpose of reviewing said District Health Department #10 Sanitary Code changes and to offer any person an opportunity to present data, views, and arguments, in the Board Room of the Board of Health, 521 Cobb Street, Cadillac, beginning at 9:30 a.m. on Friday, April 26, 2019, at which time and place any persons interested therein may present written or oral objections thereto.